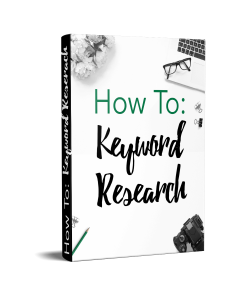 TL:DR – Use the free checklist to determine if you’re ready to hire a blog consultant and how to find one that is the right fit for you. Thinking of Hiring a Consultant? 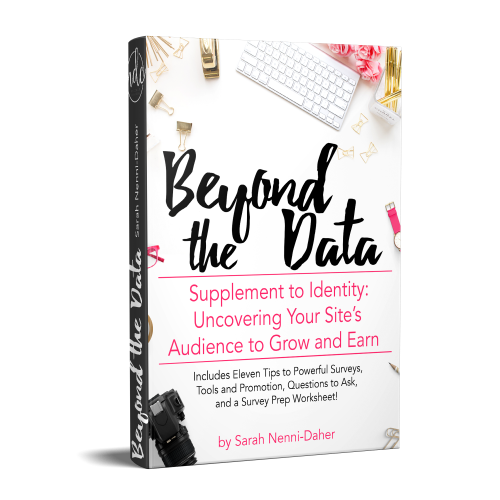 Recently, I had a discovery call with a well-established blogger referred by a client. 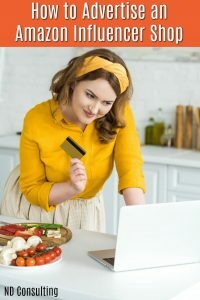 When speaking to this potential client, she indicated she “had wasted money on coaches in the past,” and was a bit apprehensive on hiring anyone else. Understandably, I told her that I would give her a checklist with all the points I use myself before hiring anyone. 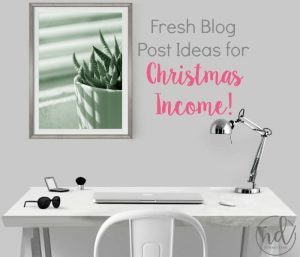 My purpose here is to educate you on how to decide whether or not to hire a blog consultant to help you grow your business. So, what should you do before hiring someone? 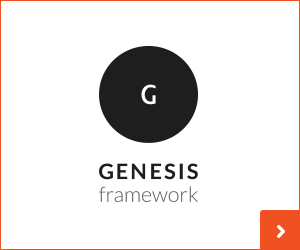 Because you’ll be evaluating multiple candidates, you need something to guide you. Today, I’m sharing the 20-point checklist I use and gave to this caller. A consultant’s job is to guide you, providing advice, straight-talk, accountability, and support while you towards your goals. It’s the number one question on the checklist for good reason and if you don’t have a specific goal in mind, use a free discovery call to talk with a consultant about your general plan. Get the checklist for yourself, even if you’re not considering hiring me. I used these evaluation points when I was seeking my own business consultant and even Neil Patel recommends going through advanced checks before hiring him as a consultant! 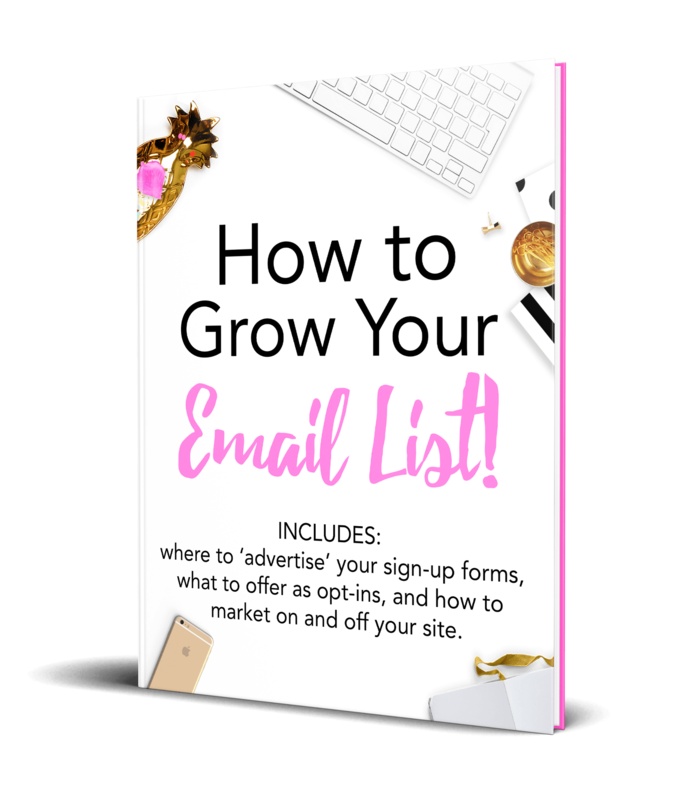 It’s in the Library for all newsletter subscribers, right next to the other resources that will help guide you in growing your blogging business. 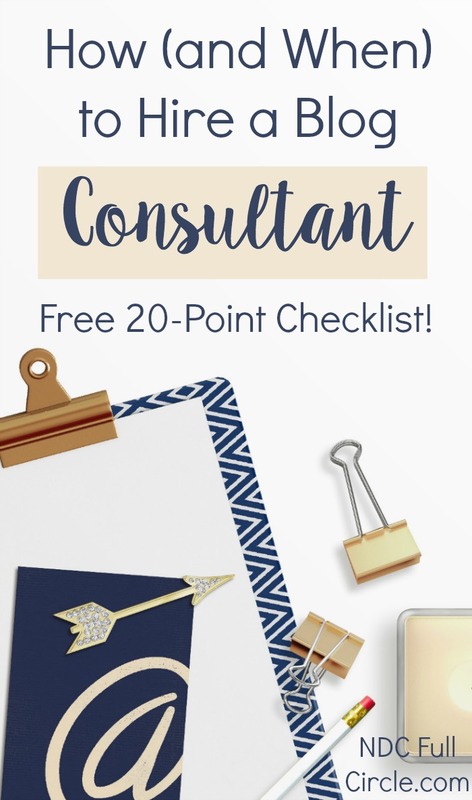 In the checklist, I take you through individual items to consider well before you consider the individual consultants. 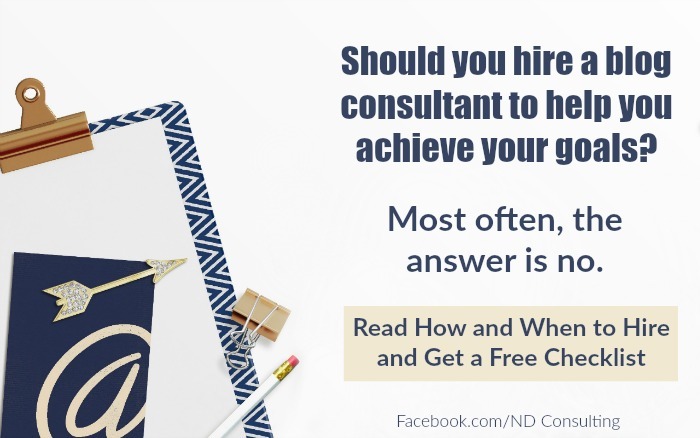 Below is a discussion on three items to help you decide how to hire a consultant. Do they help when not being paid? 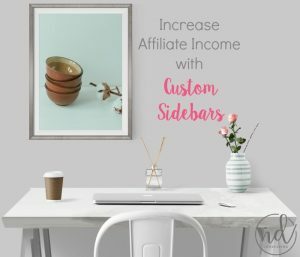 Outside of their own Facebook group are they helpful? When they are tagged, do they respond? Are they giving advice freely or simply pushing their programs, courses? 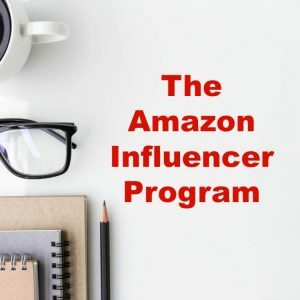 Do any of your fellow bloggers or entrepreneurs know them? Go to LinkedIn. Have they publicized their coaching, strategist, or consulting business? Find out if people have worked and would recommend working with the person. Is their business professional? 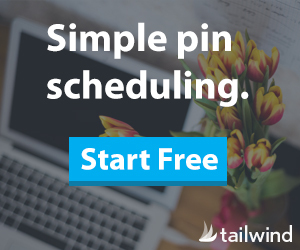 Do they lead with landing pages promising results that seem out of the ordinary or too good to be true? They probably are. Don’t fall for the hype. A styled photo shoot is NOT an indication of a successful coach. $200,000 a year after 12 months! 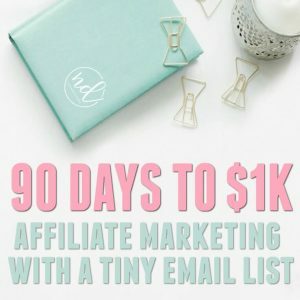 $50,000 launch from their first course! You can do it today with no experience or expertise! Some of these are stellar performances (kudos to them) and others are that stinky stuff that goes in the toilet. The marketing image is powerful and one can quickly get sucked in. Be sure not to fall for the hype. Your goal is to see through the marketing. Most of us rely on our referrals because our clients are walking, successful testimonials for the work we do. 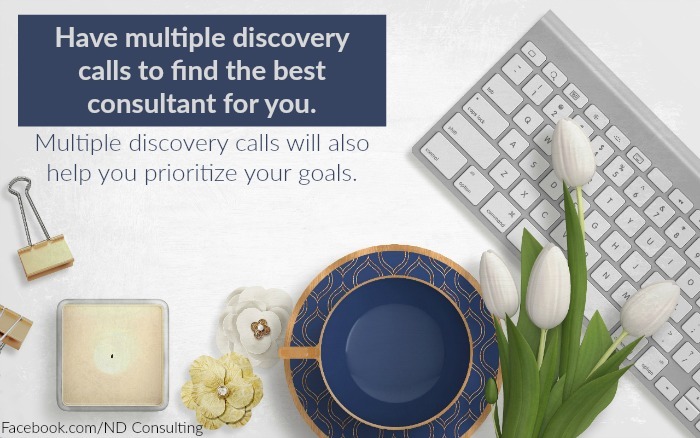 Get a free discovery call with the consultant. First, a definition: a discovery call is where you discuss your business with a consultant. Most of ask a series of questions to get past the basic stuff. I take it one step further and do about 30 minutes worth of research on you before sending a customized questionnaire. If you’ve worked with me or even had a discovery call, you’ll know that I use that time to learn about you. I offer advice, sure, and even give a call summary and an action plan, however, the biggest part of that call is finding out if we are comfortable together. feel comfortable in speaking to them about your business. have a sense that a strong, open communication channel is possible. be confident they have experience in what you seek help with. 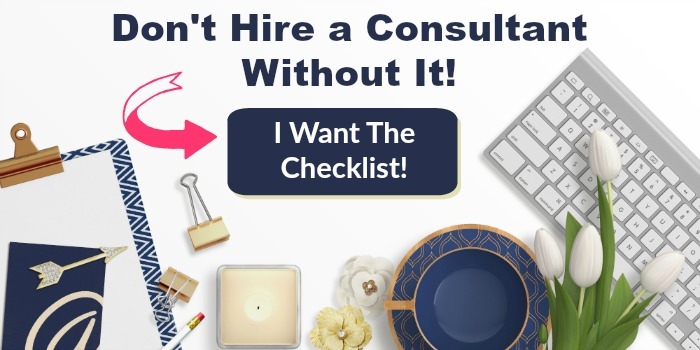 Get your checklist and learn how to hire a blog consultant before deciding whether you should. Your goal, investment, and comfort level should all be evaluated before making the decision to hire anyone. Please pin this to #elevateeveryone ! 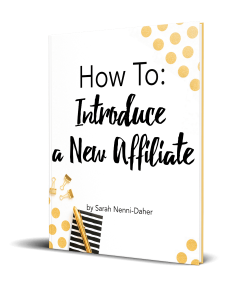 I am so glad I found you as a blogging consultant! I have no problem referring people to you! This is a great checklist. Thanks so much, Herchel! I am amazed at what you are accomplishing and am very lucky to be a part of it.